Gigglers, remember last December when we asked for your stories of best friendship for our Tale of Two Besties contest? Well, we’re super excited to announce the finalists and grand prize winner. 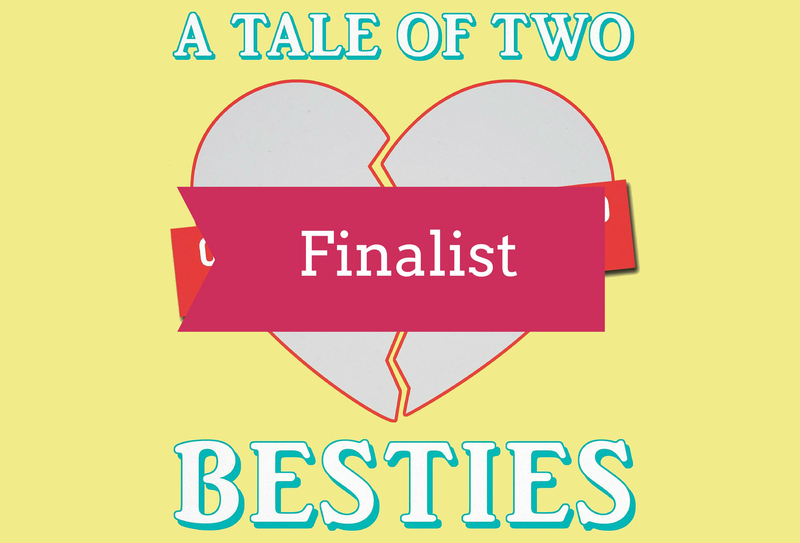 We’ll be counting down our runner-up besties stories, and on February 18th will announce the winner—plus reveal the ‘A Tale of Two Besties‘ cover! Check out Michelle Weilert’s story below. The first love of my life was not romantic. I think this is true for a lot of people, especially girls, who fall in love long before they start dating: your first love is the one with whom you exchange friendship bracelets, have perpetual sleepovers, share secrets, and swear to be together until the end of time. A lot like the romantic relationships that will come later, these early friendships often do not last. After all, people change, friends move on; and as we grow, we search for new souls to connect with as we also try to find ourselves. So for me, friendship has been much like my love life: the first was not the best. It took years, and lots of friend dating—both good and bad—to find the love of my non-romantic life, my other half, my partner-in-crime, my truest match: Kelly, my one and only bestie. Kelly and I did not “meet cute.” The truth is, we can’t even remember the moment we met. We know we were 14; we know we were in high school; from there, it gets smudgy. How I don’t remember, I don’t know. Who wouldn’t remember a girl who accidentally used too much Sun-In over the summer and now had orange-colored hair shaped like a triangle? (She maintains that “flippy” hair was very in at the time, though remains suspiciously quiet about the orange-ness of it all.) Kelly claims to remember me early on that first semester because I was the only freshman who carried a lunchbox—a purple-checkered, insulated thing that would have made anyone stand out. She swears we met in the cafeteria, after she realized with horror she had just sat down next to me. Somehow, though, we became friends. Classes brought us to the same places, but conversations brought us closer to one another. And the more time passed, the warmer we each felt to the girl we’d previously deemed a weirdo. It turned out we had a lot in common. We loved the same stupid movies and we both liked theatre, though she preferred to be off-stage while I liked to be in the center. Before long, she even started choosing to sit at lunch with me on purpose. At 16, we made it through our first rough patch when we discovered we were crushing on the same boy. Luckily, it was settled when he made it clear he had no interest in sophomores. (Though the truth is, that fight silently raged on for years, both of us joking that maybe he could like one of us now that we were older. His non-interest was thoroughly confirmed when he joined the priesthood. So, as it turns out, neither of us won; Jesus did.) At 18, after years of happy memories, we went off to colleges in separate parts of the country. Immersed in our own lives, we stayed in touch the best we could, though months often went by between conversations. At 22, work brought Kelly to where I was already living. I was excited to have an old friend nearby, but uncertain what to expect; after all, we both had changed a lot since 18. The bigger issue was that I wasn’t sure I wanted anyone close to me. For all we’d experienced together, I was dealing with something a lot more devastating than any high school drama. The summer before, I had been raped and beaten, and it had changed me in major ways. Something precious had been taken from me and I instinctively curled up in a metaphorical fetal position, withdrawing from the world. Consciously or not, I held Kelly at a distance for the first few months she was here. But as time passed, our friendship grew again and my walls began to crumble. I remembered what it meant to have such a true friend, to be known so well, to be cared for so much. Kelly still was, as she always had been, one of the most compassionate and generous people I knew. When the time came for me to go to court, I broke the vow I’d made to myself in some misguided idea that I had to do this alone. I finally told someone the truth about what was going on with me. I told Kelly. On the day the DA told me that despite the evidence, despite my testimony, despite it all, the case would never go forward, the only friend—the only person—that I saw was Kelly. I’d gone to the courthouse alone, but that night, she came over. (Was it her idea? Mine? Either way, she showed up.) In my room, she tried to coax me out of bed, which I had instantly collapsed back into after, at her insistence, I had ventured out to eat something. For a while, she was quiet and let me lie there. Finally, she spoke. “Get up,” she said. I shook my head. I would not; I could not. Despite neither of us being the cuddly type, Kelly crawled into my bed with me and we stayed there for hours as I alternated between laughter and tears. We watched stupid videos on my laptop; we talked about high school and love and life and how things aren’t always fair; we listened to Patsy Cline songs (my idea, not hers), and she indulged me with grace. When I refer to Kelly not just as my best friend, but as one of the loves of my life, I mean it. We didn’t have some whirlwind relationship, but we have something better. What we have is something built to last, that was invested in and tenderly cared for as it grew. Our friendship is a testament to our love for one another because it is something we created together. It is there through good and bad, through things that make sense and through things so nonsensical that all we can do is throw our heads back and laugh and cry and then croon along to Patsy Cline. When I think of that night, I think about how there were moments we both felt like we were teenagers again, back in that high school cafeteria, laughing so hard we couldn’t breathe. (And then, moments only seconds later, where laughter faded into full-fledged tears. How adolescent, indeed.) I think in some ways we will always be those girls who met somewhere in the high school hallways, unaware of what they would one day mean to one another; but we are also something greater than those girls could ever imagine. 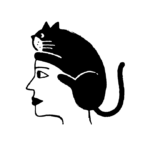 Our history together has built us a beautiful foundation, but our focus is on the future. More than a decade later, it’s clear where we met or what was said that first day doesn’t matter. What matters is that we are here together now, moving forward side by side. This story was written by Michelle Weilert.